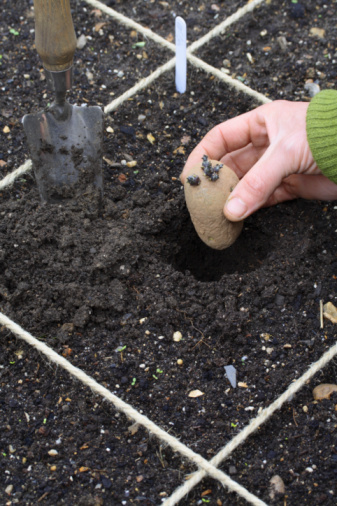 Growing seed potatoes can be quite challenging for novice gardeners. The following suggestions should help remove some of the complexities when nurturing this crop. Go to a garden center and look at the catalogs. There are many different seeds to choose from. Whichever you buy, make certain that it’s certified free from viruses and diseases. Those that are egg sized are the best seeds to buy. Put the seeds in a box. Place them in an area where there is light and plenty of air. The ideal temperature is 50 F. When growing seed potatoes, position the seeds so that the sprouts are up and stalk at the bottom. The stalk is the part which was cut off from the main plant. If you can’t figure it out, that’s okay. 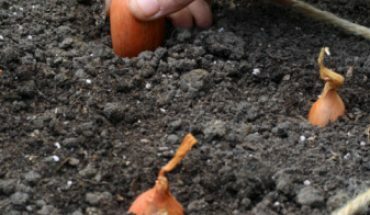 If the potatoes grow in the wrong direction, brush out the sprouts and turn it upright. As the sprouts appear, cut all of them except for about four. 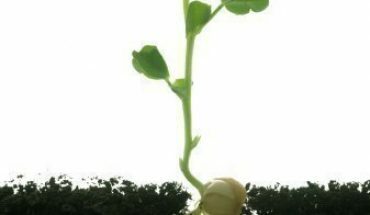 The sprout length for planting is about an inch. The length isn’t as important as the color. They need to be green. If it’s white, it’s a sign that the potato lacks sunlight. Sometimes the sprouts appear too soon when growing seed potatoes. Rub it off and wait for the next ones to appear. You can do the rubbing off five times without damaging the succeeding sprouts. March or April is the best time. Each seed needs about 12 inches of space. The rows should be kept a couple of feet apart. If you’re planting the main crop, a 15 inch gap is necessary. The rows should have a distance of 2 ft and 6 inches. For multiple rows, a north to south axis is recommended. Next, make a trench 4 inches deep. Insert the potatoes with the sprouts facing up. Use your hands to fill the hole. Be careful that none of the sprouts gets damaged. 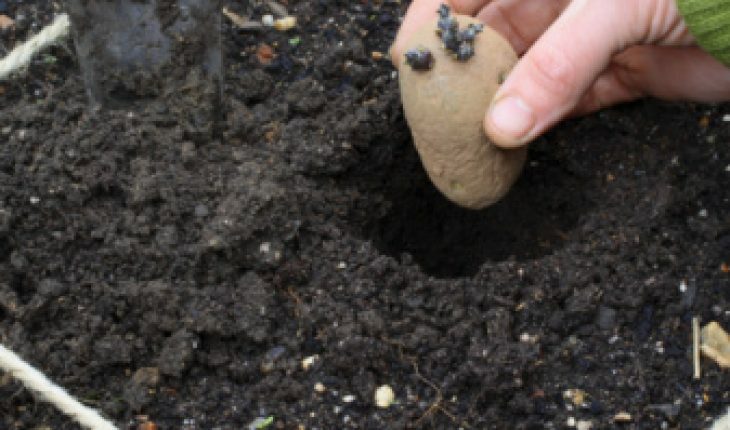 General purpose fertilizer can be used as you are growing seed potatoes. Note: the pH level should not be more than 6 (5 is the minimum). A higher level will produce rough spots that make it unpalatable. Apply some soil around the shoots in case they appear. This will be necessary only if frost will take place. When they reach 8 inches remove some of the soil in the midst of the rows. But do leave a few inches in the soil. Repeat this again after three weeks. Around growing season, put on some fertilizer. 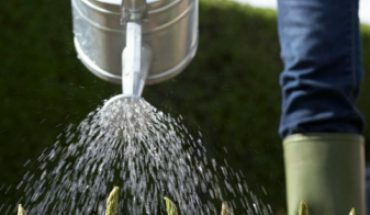 Take out any weeds that might be appearing. This won’t be necessary after a month. 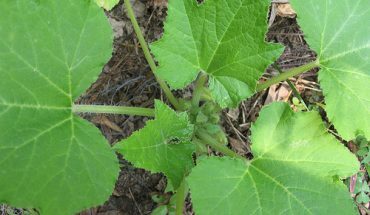 By then the foliage will deter any weeds from appearing. Do not take out the foliage as they provide sustenance. What should be taken out are the flower buds. These will sap energy away from potato production. Finally, never try growing seed potatoes near tomatoes as they might draw in more pests. By keeping these guidelines in mind, a lot of the potential problems with nurturing this crop can be eliminated.